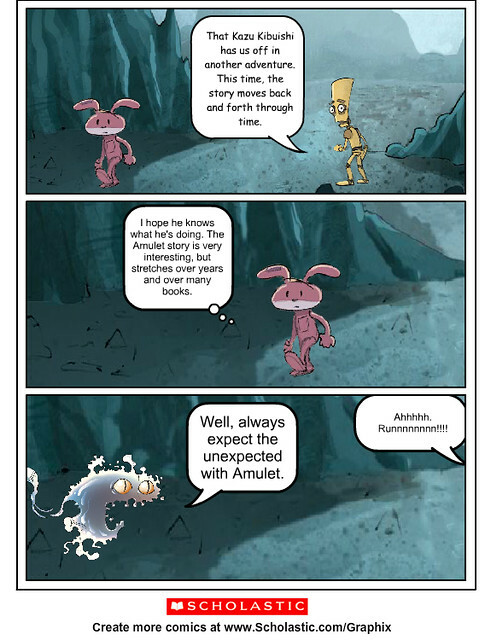 As I dove into Book Five, I had to jog my memory, but I bit in to the story in the latest Amulet book anyway. You can’t ignore the beauty of the illustrations, which are so evocative and powerful, nor the narrative sweep that Kibuishi is setting forth in the series, which tells the stories of a girl, Emily, who is learning how to harness the power of her magic stone; Max, whose mysterious past is slowly coming to life; and the showdown between the race of Elves and others in the world that was once hung together with the magic and power of the Stonekeepers. There are echoes of many traditional epic stories in the Amulet books (the mysterious voice inside the stones, the pull between good and evil, the redemption of society, the reluctant hero) but I find it refreshing that Kibuishi trusts us to believe in his storytelling power and to let the narrative strands slowly pull apart before coming back together again. We are shifted quickly into different storylines and you have to stop to take stock of where you are. This is not a bad thing, but I wonder about his young readers. Or maybe, like the cult of Harry Potter, the legions of kids who were wowed by the first Amulet book years ago are now older, and more sophisticated, readers. 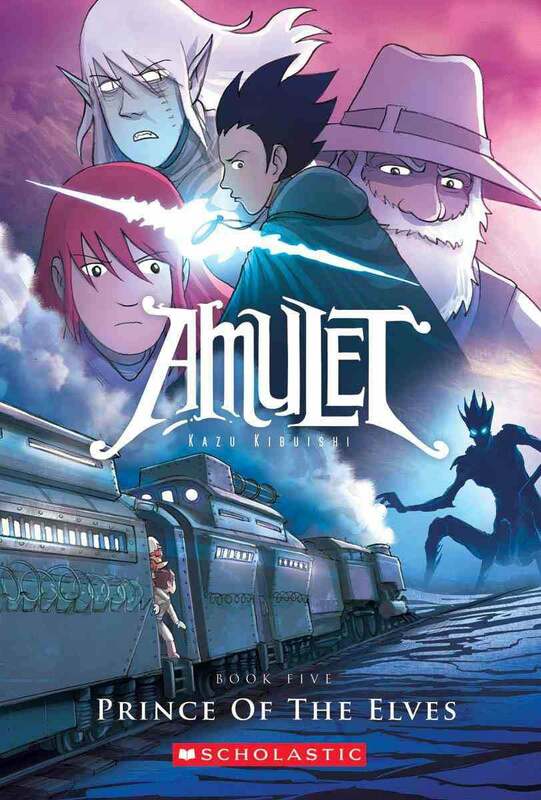 I won’t go that far, but I will say that the Amulet series is bringing the art of graphic novels to interesting levels, and I am ready for Book Six, whenever that happens.